The world's first automatic wudu' (ablution) and drying machine will see the light soon with an impressive efficiency of water and time [...] "We are in the process of concluding agreement to distribute Auto Wudu' Washers (AWWs) to Saudi Arabia, Kuwait, Oman and Bahrain," Anthony Gomez, inventor and designer of the new infrared-operating machines, told IslamOnline.net over the phone from Australia [...] Gomez said that he consulted the Islamic Council of Australia first before pressing ahead with his innovation [...] "The Islamic Council of Australia has issued a fatwa approving the new machine," he said. 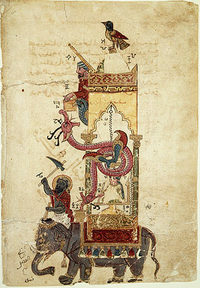 Commenting on Gomez's invention, prominent Egyptian scholar Sheikh `Abdul-Khaliq Hasan Ash-Shareef said he sees nothing wrong in using the AWW as long as the basic pillars and requirements of ablution are strictly observed in a right and precise way [...] "With the above in mind, there is a spiritual aspect of ablution that should be observed by a person using such modern means," he told IOL [...] He said Muslims should not allow themselves to be distracted by the modern means, and they should not show laxity in achieving spiritual elevation while embarking on using such modern devices [...] "Muslims who use this kind of washers should not forget that they are actually performing a worship act and not a routine act of washing bodily parts," he stressed [...] "For example, it has been authentically reported that one's sins are forgiven when the drops of water drip from the organs of the person performing ablution [...] "This spiritual aspect of ablution and other aspects should be present in one's mind and should in no way be absent." A model for use in the Muslim home is apparently being planned. Below is a picture of this device.